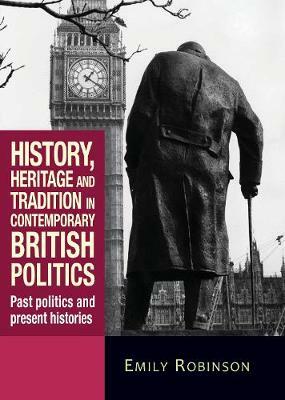 History, heritage and tradition in contemporary British politics explores the use of the past in modern British politics. It examines party political perspectives on British history and the historical process and also looks at the ways in which memory is instituted within the parties in practice, through archives, written histories and commemorations. It focuses in particular on a number of explicit negotiations over historical narratives: the creation of the National Curriculum for History, Conservative attempts to re-assess their historical role in 1997, the assertion of a 'lost' social democratic tradition by the SDP and New Labour and the collapse of the Communist Party of Great Britain's narrative memory in 1988-91. This book shows how history, heritage and tradition are used to present parliamentary politics as intrinsically 'historic' and suggests that the disappearance of active political pasts leaves contemporary politicians unable to speak of radically different futures. Although it is quite wide-ranging in terms of source material, the focus of this interesting, readable, and thought-provoking book is most concerned with the historically inflected rhetoric by senior members of political parties than on the historical political imagination per se. The focus is frequently on the aesthetic and emotional ends that the rhetoric is put to-with the book drawing on various literary writings for approaches and to appropriate critical distinctions. Particularly good are arguments about the importance of the decline-across the board-of political pessimism, and its replacement by a deadening optimism that is both born of an extremely limited world view but which nevertheless projects an unlimited vista forwards., SCOTT ANTHONY, University of Cambridge, Twentieth Century British History, 5 September 2013|"this is a fascinating and thought-provoking book, which is well worth reading." (Political Studies Review Volume 12, Issue 3, September 2014), Simon Griffiths, Goldsmiths, University of London, Political Studies Review Volume 12, Issue 3,, 1 September 2014 -- .